Spain's conservative government has agreed with the socialist opposition to hold regional elections in Catalonia in January, the socialists say. The elections are part of a package of measures being put in place to suspend the region's autonomy, as its leader threatens to declare independence. Prime Minister Mariano Rajoy will announce measures to impose direct rule after a cabinet meeting on Saturday. 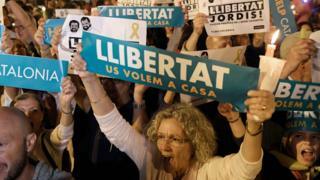 A referendum, outlawed by Spain, was held in Catalonia on 1 October. Mr Rajoy's Popular Party (PP) has not confirmed the agreement to press for a regional vote, announced by the socialist party (PSOE). Speaking at a press conference in Brussels on Friday, Mr Rajoy said the measures to impose direct rule would have the backing of the PSOE and the centrist party Ciudadanos. PSOE politician Carmen Calvo announced the agreement to hold regional elections in an interview on national television on Friday. She appealed to Catalan leader Carles Puigdemont to endorse the elections. Mr Puigdemont has refused calls from the Spanish government to abandon his secessionist campaign. Catalonia's government will be dissolved ahead of the vote, which is part of a package of extraordinary measures being imposed on the region. The government has said it will trigger Article 155 of the constitution, which allows Madrid to impose direct rule in a crisis but has never been invoked in its nearly 40-year history. The full list of measures will be drawn up during Saturday's cabinet meeting. Spain's Senate, controlled by the PP and its allies, would then have to approve the list. Other measures may include taking control of Catalonia's regional police force. Article 155 does not give the government the power to fully suspend autonomy, and it will not be able to deviate from the list of measures. While the dissolution of Catalonia's parliament and the holding of snap regional elections may appear to offer a way of defusing today's state of extreme tension, there are plenty of reasons to doubt that such a strategy would provide a clear exit from the crisis. The far-left CUP has suggested that it would boycott any election imposed on the region. Other pro-independence forces might do the same. 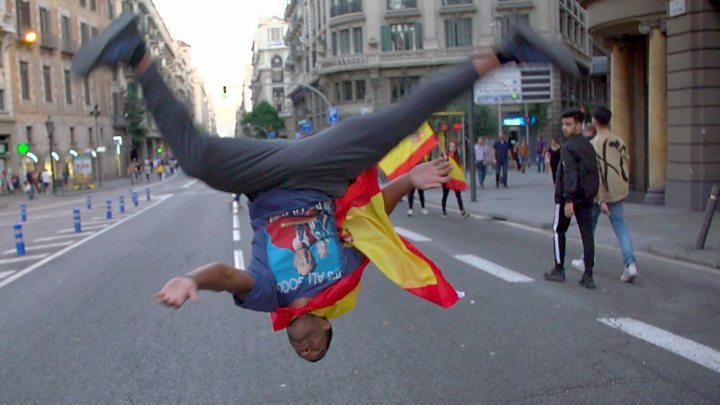 Massive street protests against any form of direct rule from Madrid can also be expected. And what are the potential consequences of forcing an election on Catalonia? Mr Puigdemont has promised to call a formal vote on independence in Catalonia's parliament if Article 155 is invoked. If such a declaration were approved, the pro-independence forces could style the ballot as the election of a constituent assembly for a new republic, the next stage laid down in the secessionists' road map. Assuming the participation of all parties, voters would be bound to interpret the election as a de facto plebiscite on independence. If a separatist majority emerged once again, it is hard to see how the conflict could be considered closed. As a deadline for the Catalan authorities to abandon independence came and went on Thursday, the government accused the region of seeking confrontation. 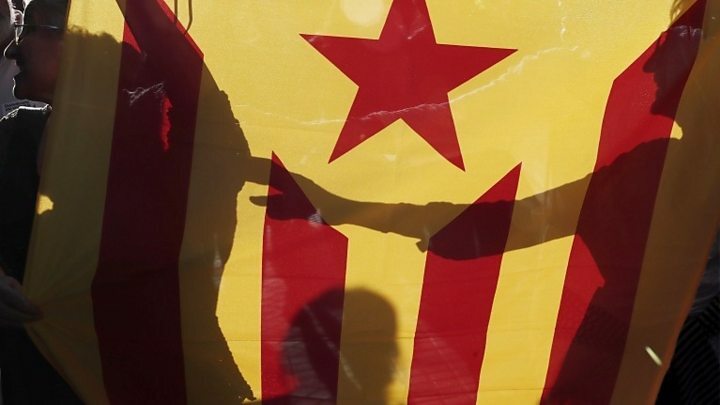 The independence campaign had caused "serious damage" to "the co-existence and the economic structure of Catalonia", the government said in a statement. UK Prime Minister Theresa May on Friday sided with Mr Rajoy, telling reporters that "people should be abiding by the rule of law and uphold the Spanish constitution".